Loni Top is a Valencia-based Speech and Language Pathologist Assistant. 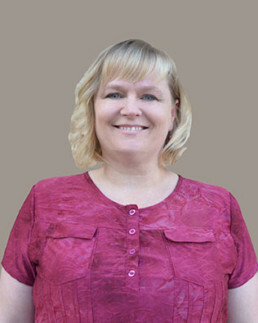 She received her Associate’s degree in Speech-Language Pathology Assistant (SLPA) from Chemeketa Community College in Salem, Oregon, and has over a decade of experience actively working in educational, early intervention, and private practice settings across the west coast. Loni was introduced to the field of Speech and Language Pathology when, at an early age, her youngest son, struggled with hearing complications. After watching his team of ENTs, speech therapists, teachers and audiologists work, Loni was inspired to join the field of speech pathology herself. She is a driven SLPA who is inspired by the growth that her clients experience while working with her. Loni and her husband are the parents of three grown sons. In her free time, she enjoys reading, attending her sons’ college wrestling matches, and experiencing live theater.